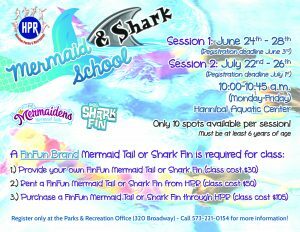 Join us for Mermaid & Shark School! Only 10 spots available per session! Click HERE to see the tails and fins that are available for this class! Register only at the HPR Office (320 Broadway)!